The H. Lavity Stoutt Community College (HLSCC) is taking steps to improve the visitor experience at the Virgin Islands Maritime Museum located in the Centre for Applied Marine Studies at Paraquita Bay. With the enhanced experience, HLSCC will also introduce a fee of $3.00 per person for tours of the facility commencing on Tuesday, March 15, 2016. Visits by residents remain free of charge. In addition to improvements to some exhibits, all visitors will now receive an interpretive brochure as an aid to self-guided tours. Guided tours can also be arranged with advanced bookings. 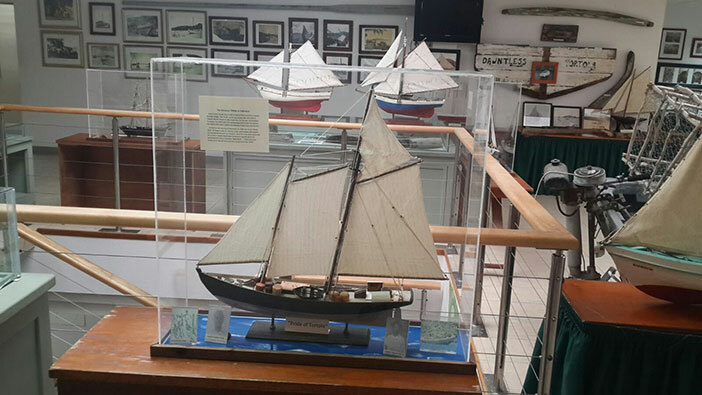 The Virgin Islands Maritime Museum was created with the aim of drawing attention to the rich maritime history of the Virgin Islands and has been viewed by residents and visitors alike for over ten years. 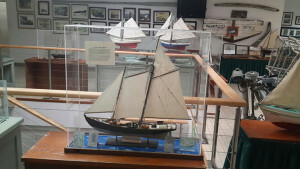 Curator Geoff Brookes continues to add exhibits which currently include boat models, marine artifacts and boat building tools, photos of old vessels and launchings and the Virgin Islands Maritime Wall of Fame which features Virgin Islands shipwrights, captains and seamen. According to HLSCC President Dr. Karl Dawson, the enhancements to the Museum experience is consistent with the College efforts to develop its cultural, historical and environmental resources as aids for teaching young Virgin Islanders and for the viewing and learning pleasure for visitors to our shores. The College also aims to further develop the mangrove boardwalk experience and to complete the Joe’s Hill Millhouse replica.